Charoite is a silicate mineral. Typical colours - strong, translucent lavender to purple with a pearly, swirling lustre, varying from violets and lilac to light brown. 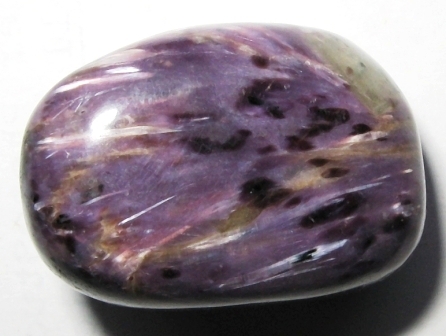 Charoite is a stone of transformation. It cleanses the aura and chakras by transmuting negative energy into healing. It opens our hearts and stimulates unconditional love. Re-energises, reducing stress and worry. Charoite stimulates and regulates the blood pressure and pulse rate. Improves sleep, overcomes insomnia and allays nightmares. Charoite treats the eyes, heart, liver and pancreas as well as healing general conditions of the nervous system. My own experiences and observations of gemstones. 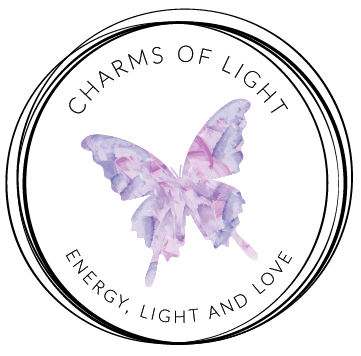 © Copyright 2004-2018 Charms of Light. All rights reserved.